Installing Industcom system at electronic control room, all process point of production could access the system by wireless intercom system and call the terminals. Also user could integrate the office phone system to this intercom system. This technical proposal descripes the solution of replacing exsiting public address system with INDUSTCOM PA1public address and intercom system. 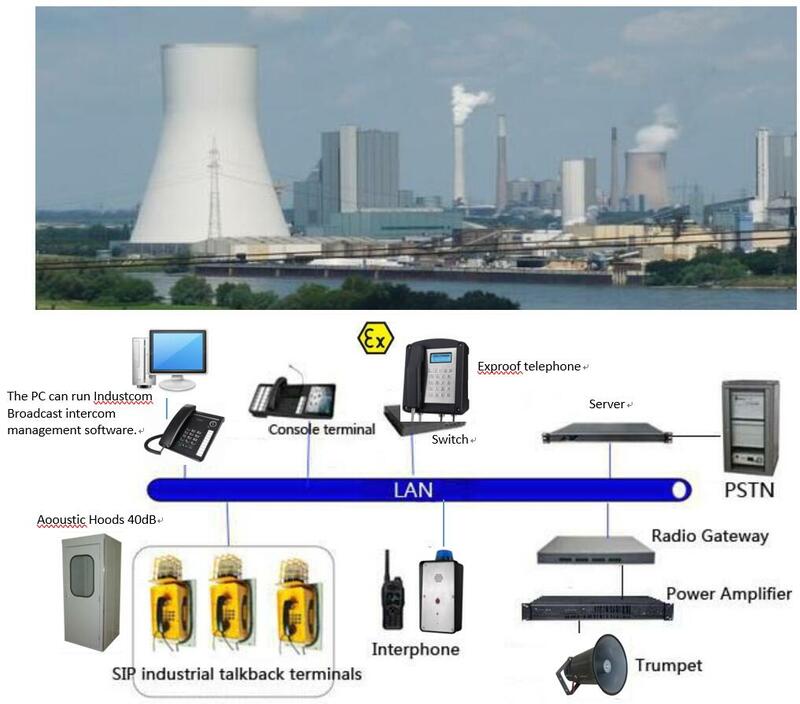 INDUSTCOM public address and intercom system is a fully digital IP-based industrial communication system. 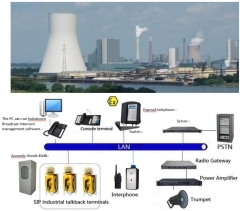 The system has been designed and developed for using in various rugged industrial environment such as noisy, dusty, electromagnetic interference, vibrate, smeary, flammable, and explosive environment. The INDUSTCOM PA1 public address and intercom system is a centralized star-forward system. The system will work in case of failure of any handset station or cable connection. It can be widely applicated in harbor, iron & steel, power generation, chemical, petrochemical, offshore platform. Etc.